“Food with purpose. Ingredients with intention"
While at Gibsons in 2012, Kasia and Britni met and shared common visions of healthy, clean lifestyles and flavor-forward food. In 2013, the duo officially partnered together and began their FARE journey - first serving their hearty, wholesome foods at Chicago festivals and catering jobs. 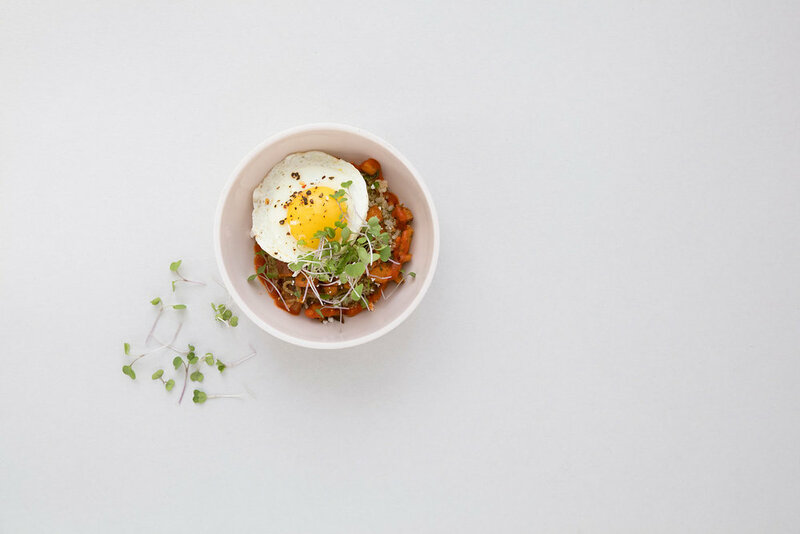 Today, FARE has its first location in Chicago's Wells St. Food Market and is building a community of loyal followers, enticed by the menu's wellness-focused, flavor-packed food. CLEAR EYES, FULL STOMACH: at Fare we only serve food and ingredients you can see and pronounce. At FARE expect nothing but simple, pure, and authentic food. PLAY NICE: we practice environmentally friendly initiatives, from sourcing to waste management. PAY IT FORWARD: we strive to inspire others to enjoy meals meant to enhance overall well-being. Teamwork makes the dream work. now hiring! Energetic. Great taste buds. Not afraid to get your hands dirty. Sound like you? Our team is growing and we would love to meet you. Fare is a quick-service healthy-lifestyle restaurant in Chicago's loop along the riverwalk.